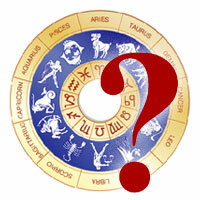 In the Vastu sastra “The Aaya Prakarana” is one of the most important part. The word Aaya means income. While taking-up any construction in the selected land “Aaya” should be followed to achieve good results so that the construction will remain beneficial for a long time. In the Viswakarma Prakasika the nine vargas are clearly elaborated. i.e., Ayam, Varam, Amsa, Dhana, Runa, Nakshatra, Tidhi, Yuti (Yoga), Ayuvu. There are some differences of opinion in classifying these nine vargas; some classical texts state only 6 vargas i.e., Aaya, Dhana, Vyaya, Tidhi, Vara, Nakshatra. 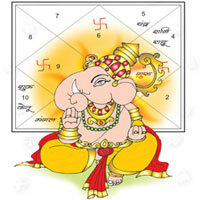 The main elements or vargas for a house are six; Aaya (income), Vyaya (expenditure), Yoni (dhvaja etc. 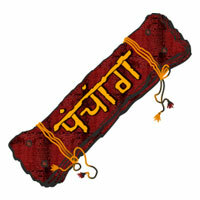 ), Amsa of building (indra, yama, rajasa) letters in the name of house (Dhruvadi grah namakshara). The life span is dealt separately. 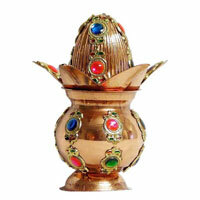 There are eight different types of aayas namely Dhvaja, dhumro, simha, svana, vrushabha, khara, gaja and kaka yayasa). The representation of these eight aayas in eight direction i.e., Dhwaja in East, Dhurnra in South-East, Simha in South, Svana in South-West. Gaja in North and the Kaka in North-East directions. These aayas are considered for the native according to the direction. Always the fifth Aaya is enemical to the native and should be avoided. For example East is the native of dhwaja, so the fifth aaya which is opposite to it is enemical. The construction of house, temple etc., are to be made in all the four directions i.e., East, South, West & North, but not in the corner directions. Among these aayas the dhwaja aaya will aspect the West from the East and right and left side. Rear side aspect is not favourable. The Simha aaya will aspect the North from the South and right and left sides. Rear side is not favourable. The Vrushabha aaya will aspect the East from the West and right & left sides. Rear side aspect is unfavourable. Gaja will aspect the South from the North and right & left sides. Rear side aspect is unfavourable. Regarding the main doors, for the Dhwaja aaya Western door, Vrushabha East door, Northern Door for Simha aaya, Southern door for Gaja aya are favourable. East facing house which has Dhwaja aaya a western door, a house constructed on South which has Simha aya also a western door are good. Likewise a house constructed on Southern side which has simhaaya a Northern door, for a West facing house with vrushabha aaya Eastern door is favourable. For a North facing house with gaja aaya Southern door is favourable. The aayas are having its swarupas and lordships and cast also. Simha aaya is of lion, vrushabha aaya is of bull, gaja aaya is of an elephant, dhumra aaya is cat, svana aaya is dog, khara aaya is of donkey and where as the kaka is of crow, considering the lordships. All these aayas have masculine features, bullock, like features, elevated neck, hands which resemble human hands, features like bird-feet, lion neck, are favourably considered. Above all these vargas the fifth varga of a native varga is enemy varga, which should be always avoided. Swa varga i.e, own varga is always favourable & preferable. For Vaisyas -	Vrushabha aaya with Eastern entrance are good and favourable. 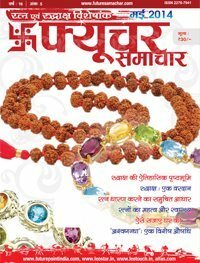 The Dhwaja aaya is also good & considered for Kshathriyas & Vaisyas. Simha aaya brings inadequate progeny. Simha, Vrishabha & Gaja ayas are always preferable and the other aayas lead to bad results. Different castes indicate their professions. People should follow the aaya of their profession. The Result of Amsa : There are only three “Amsas” in the Aaya prakasana; (1) lndramsa, (2) Yamamsa and (3) Rajasamsa. The lndramsa will present the status and happiness. The yamamsa will lead to death, sorrow, many diseases. The Rajasamsa will improve the wealth gains and progeny. Vara (weekdays) among the 7 days the week Sun & Mars of a house will result in threat from fire and the other days will be favourable. 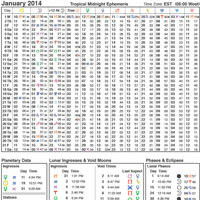 Among the tuthis the rikta tithi will cause poverty, new moon day (amavasya) will cause diseases of worms. Yoga : As against 27 yogas the bad yogas will affect the owner by loss of wealth and gains. The vratipat yoga creates fear of death. The vaidhruti yoga causes all sorts of losses. Ayuvu (Life Span) : When the life span of house based on the arithmetical calculations is more than 60, it gives auspicious results, if it is less than 60 years then it is inauspicious. Regarding the Dhana & Rina, the total no. of Dhana should be more than that of the number of Rina as per the prescribed mathematical calculations and the pada should be taken in all the constructions. 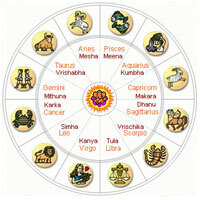 The classical texts of vastu sashtra, i.e., Viswakarma Prakasika, Kalamruta state the methods in different ways. In the Sarnrangana Sutradhara, the writer King Bhoja states. For Aaya: If the Kshetripada (length & width of the selected area) is divided by 8 the remainder, 1. Dwaja, 2. Dhuma, 3. Simha, 4. Svana, 5. Vrashabha, 6. Khara, 7. Gaja, 8. Kaka the remainder 0 = 8. The Nakshatra : By multiplying the Kshetra pada by 8 and dividing by 27, we get Nakshatra. If the remainder number is 8, it stands for vyaya. ie., expenditure. It this number of expenditure is less than the no. of income, it is known as yaksa, if more than that it is known as rakshasa. If it is equal it is called as pisacha. Among these yaksha is considered for best, rakshasa is negative and pisacha will give normal result. Amsa Sadhana : Add the number of vyaya and gruha nama nakshtra and divide this total by 3, the remainder 1 is indramasa, 2 is yamamsa and the 3 is rajasamsa. Indra & rajasamsa will give best results whereas the yamasa is inauspicious. Rasi sadhana : Multiply the gruha nakshatra with 4 and divide by 12 the result is the rasi. When the rasi is 6, 5,2, 8, 12 against the native's rasi it is inauspicious. The Tarabala : Counting from the Janma Nakshtra of a person to the nakshatra of the house and dividing by nine, the remainder 4,6,9 are auspicious, 1,2, 8 are normal and the numbers 3, 5, 7 are evil. Ayuvu (Longevity) : Multiplying the kshetra pada by 8 and dividing by 120, we get ayuvu of the house. 0 counts as 8 which is not good. The other classical texts like Aparajita Prucha, Vastu Vidya, Manushyalaya Chandrika, Manusutra etc., give some variations. So it is necessary to observe the Aaya and the navavargas before any constructions to achieve good results for prosperity, wealth, growth etc.